I’ve been thinking a lot lately about a concept which as a wannabe fashion historian is hugely important. That of future vintage. I’m taking about what recent pieces may one day become collectible, or even just become interesting to future generations. So, what got me thinking about this all? A few weeks back the vintage festival declared that the 90s is now vintage. I started to think about what defines the 90s fashion wise and then it got me What ten years from now will we look at and go that SO defines the noughties (apologies I hate this word and will use it repeatedly through this piece but there is no better way to describe the years 2000-2010). This also applies to museums too. What I find fascinating is when a museum accessions something that is new, or only a few years old with the scope of it capturing the zeitgeist. When I worked at Hampshire museums service there was one piece that stuck in my mind that particularly exemplified this. 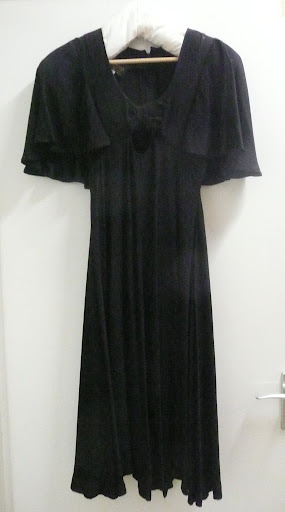 A Bus Stop dress which if memory serves me correctly was from 1974 and accessioned in 1978. This was an incredibly clever accession by the then keeper of collections, as at the time it would have been simply a piece of second hand clothing but can now be viewed as an important piece. The bus stop dress in question. Terrible picture, but this picture was taken in the days before i had my SLR. It looked much better on a mannequin in the LBD exhibition i worked on but i can’t seem to find a picture! So if I had the chance, what would I pick from the last 10 years as pieces of importance? I’m thinking less high end and more high street. What might we look at 50 years from now and think THAT caused a fashion buzz, or rather that is what everyday people wore. – Something worn by Kate Middleton. I.e. something achievable to many, like one of the L.k. Bennett dresses she has worn? I have a pair of LK sledge shoes that Kate is often seen in that despite nearly crippling me in the time I worked for L K Bennett I might just keep hold of. – A velour tracksuit. I hate to admit it, aged 12 (2002) I owned one. – The boho look (c 2005). For this I would have to pick a good white cheesecloth gypsy skirt to really define the look I think. – A piece from Primark at its peak ( I think im talking 2006 or 2007 here) when EVERYONE had identekit Primark floral dresses in a slightly vintage style. – High waisted shorts. I had my first pair in early 2007. I remember the hilarity these caused at the time, when everyone was wearing decidedly low waisted garments and there was confusion as to why I would be CHOOSING to wear the waistband of my shorts above my waist. Trying to think since 2010 though I am really struggling because everything is SO vintage at the moment. Most people I know will happily inject some level of vintage into their wardrobe whether it be crazy novelty jumpers from charity shops (ahem, I look at my housemates on this one ; ) ), cut off levi shorts or genuine 50s dresses. We are currently in a period where the past IS present. Maybe fashion has just got too fast for its own good. Maybe we are about to reach the ceiling of how fast fashion can get? Stores that once dominated seem to have lost their way rather (topshop I look primarily at you here), so maybe the fast fashion bubble is about to burst… I’m certainly interested to see what happens. Not fashion clothing, but a bag, remember the Anya Hindmarch bag that was £5 from Sainsbury's? I queued up at 6am at my local Sainsbury's to get one. Regrettably I sold it on eBay a year or so ago, but I bet that would become future vintage because of the hype that surrounded it… it was even copied by fakers. I think bags and shoes are actually still more innovative than clothing in this day and age, and I could certainly put together a long list of iconic shoes and bags of the last 10 years that actually show more design thought than items of clothing. The Anya Hindmarch bag would indeed be on that list, partially because of the environmental concerns surrounding it. Yes! I know alot about the dress that Kate Moss copied as i wrote about it extensively in my dissertation. For me the fashion of ordinary people is very interesting, and this is why the Kate Moss collection is so fascinating to me. She was one of the first big "celebrity design collaborations" and i think this bought about a whole era of a feeling that anyone can be a designer (as someone who has studied fashion design PAH. No you can't). In terms of the social history the Kate Moss stuff holds more importance than in its design, and i guess this is why i am so interested in it. Interesting post, I have said similar about 'things' ie modern stylish design in homeware – I like a vintage eiderdown as much as the next blogger, but I also like well made new things, which can be frowned upon. How can I pass on any vintage from this decade to my kids if I'm spending all my spare cash on (hideous) deer ornaments and the like?Anyway, back to clothes. At university I spent lot of time clubbing in teeny tops and combats, that All Saints sort of look (the band not the shop). Loathed the floral strappy dress over a t-shirt look that was popular in the 90s though. Definitely skinny jeans in last decade. Incidentally, has a decision been made on what this decade is called? Are we in the teenies or something? So many laughs in this post, especially in your dating of iconic pieces! I definitely agree with the Kate Moss, Sienna Miller-boho and Kate Middleton influences. I also had a velour tracksuit (still do…I wear it to clean and paint in 🙂 ) The only point that I disagree on is the idea of 'high-waisted shorts being above the natural waist' since all pairs that I have seen worn have been about 1" below, or exactly on, the natural waist. 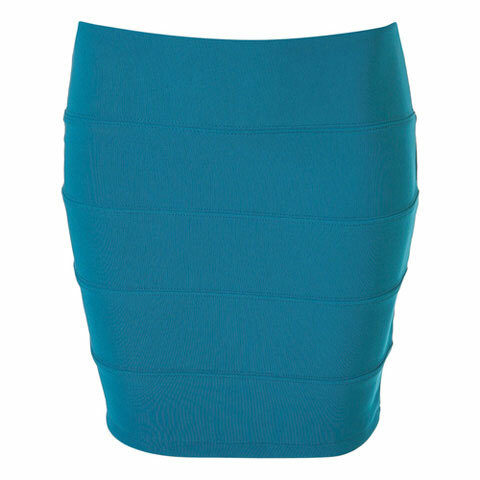 (The pair I owned from Topshop – super high waist and super high legged! – were very slightly below. But then, having trained at uni as a maker of bespoke costumes, we makers of period pieces constantly struggle with the current lack of awareness of the true position of the natural waist. (Especially with boys, who think that it's on average somewhere around the bum! )I would be interested in hearing your thoughts on men's iconic fashion pieces. Ah the high waist shorts debate! I could go on and on with this one : ). 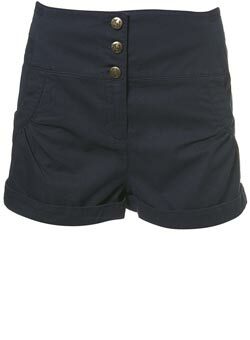 I actually have two pairs of verry early Topshop high waist shorts, that genuinely are high waist. I bought both of these in the sale in early 2007 for the princely sum of £3 per pair (plus staff discount). These both sit at bottom of the ribcage, rather than at my natural waist. I think though you are corect in suggesting that the slightly later pairs than the ones i have would be considered waisted rather than high waisted. It is true though, so many people are unaware of the location of their waist (i feel alot of people think it is somewhere around their belly button if I'm honest). I'd be interested to see exactly where you put the waist at actually, because maybe coming from a fashion designer point of view i am still viewing the waist as *slightly* lower.I think men's iconic fashion items of the last year could be really interesting, and actually i think mens fashion has seen more innovation than womens in the last ten years or so, i think men have become a lot more daring in the way they dress, certainly. I would definitely put jeans so low your bum actually hangs out as a fashion of the last ten years. Will boys/ men ever learn again how to truly pull their trousers up? I'm not sure. But that is for another post, which i am sure i will soon write! To throw in my two penn-orth, it makes me think that all fashion is a recycling of what's gone before. The "vintage-style" tea dresses and the 70s-look shorter versions that went before them are 1940s in style. The "boho" look was very 70s, I had a tiered cheesecloth gyspy skirt then. I wore check/lumberjack shirts in the 80s, and leggings were around in the early 90s, with stirrup/ski pants popular while I was at university in the early 80s. High waisted shorts? 1940-50s! Distressed/ripped jeans? See Bros and George Michael's video for Faith (1986-7)!You probably know all this already! And it's fine. There's only so much anyone can do with clothing, and referencing design from the past is great. It just amuses me that some people don't seem to see the reinvention of previous design, and think it's all new and completely original. holiday packages at exotic locations in India. of the nose, widen or narrow the nostrils and straighten a crocked nose. The issues started with an old picture from the 1980s featuring Dubrow with feathered hair. in which case the doctor that you meet with will be able to explain everything to you. But when was the very last time you asked yourself exactly what you would want most this year. rumors that he has gone under the knife. Rhinoplasty surgery is essential in nose fracture treatment.